~~CERTIFIED PRE-OWNED WARRANTY INCLUDED~~ONE OWNER~~BLUETOOTH/ CELL PHONE HANDS FREE~~4X4~~LEATHER~~Allison 1000 6-Speed Automatic, 4WD, light titanium dark titanium Leather, a 730 CCA Heavy-Duty Dual Battery for those cold mornings, AM/FM radio: XM, AM/FM Stereo w/CD Player/MP3 Playback, Dual 125-Amp Alternators, Dual-Zone Automatic Climate Control, Exhaust Brake, EZ-Lift Tailgate, Front Halogen Fog Lamps, Heavy-Duty Handling/Trailering Suspension Package, Integrated Trailer Brake Controller, Interior Plus Package, Power-Adjustable Pedals For Accelerator & Brake, Remote Keyless Entry, Remote Vehicle Starter System, SIRIUSXM Satellite Radio, Steering Wheel Mounted Audio Controls, Universal Home Remote. 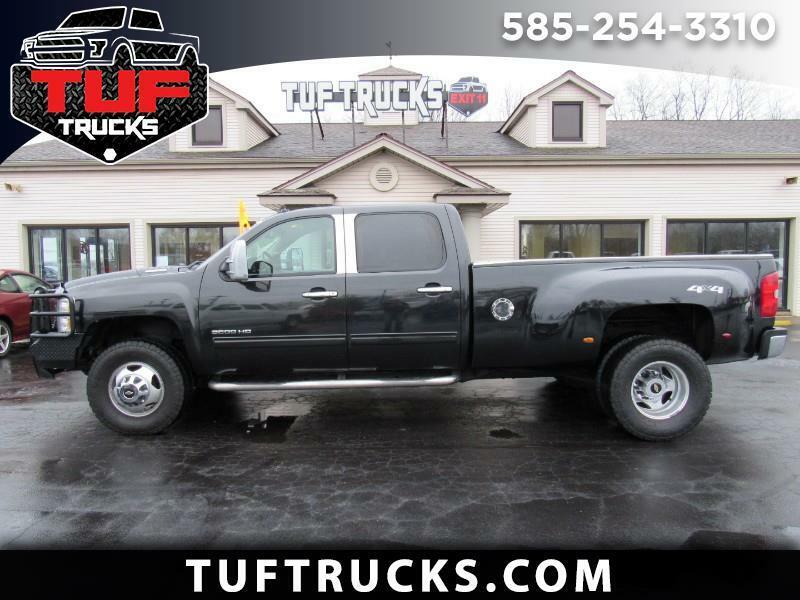 2012 Chevrolet Silverado 3500HD LT DRW 4WD Allison 1000 6-Speed Automatic Black Granite Metallic Duramax 6.6L V8 Turbodiesel Recent Arrival! Odometer is 86537 miles below market average!